Wire mesh is primarily used as industrial filters in the application of filters, strainers, baskets..
Our company is instrumental in manufacturing quality assured range of perforated metal products..
Our company has gained worldwide reputation in the field of manufacturing vibrating screens..
To meet the variegated requirements of the customers, our company is engaged in manufacturing supreme quality filter disc.. 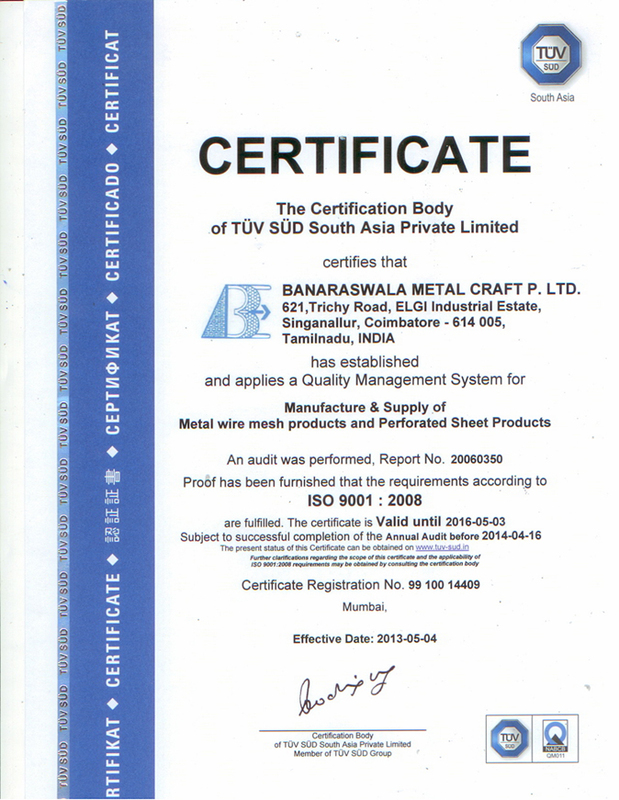 Stepped in this business in the year 1986, Banaraswala hold expertise in manufacturing a wide gamut of stainless steel wire mesh, wire netting, perforated metal products, expanded metal, vibrating screen, welded mesh and many more. The branches of the company are spread across India and owing to which, we have garnered rich clientele base and reputed position in India. Our company strives to achieve total customer satisfaction. We are the leading wire mesh manufacturer.